(BGO) – Possessing Vinh Nghiem pagoda’s valuable woodblocks, Yen Dung is the only district in Bac Giang province that owns the World Documentary Heritage as part of the Memory of the World Programme. The district also has many relic sites like Vinh Nghiem pagoda, Memorial Site of Uncle Ho in Tan An, Phuong Hoang Zen Monastery and Kem pagoda. In the past years, the district has paid due attention to tapping advantages of the relic sites for tourism development. 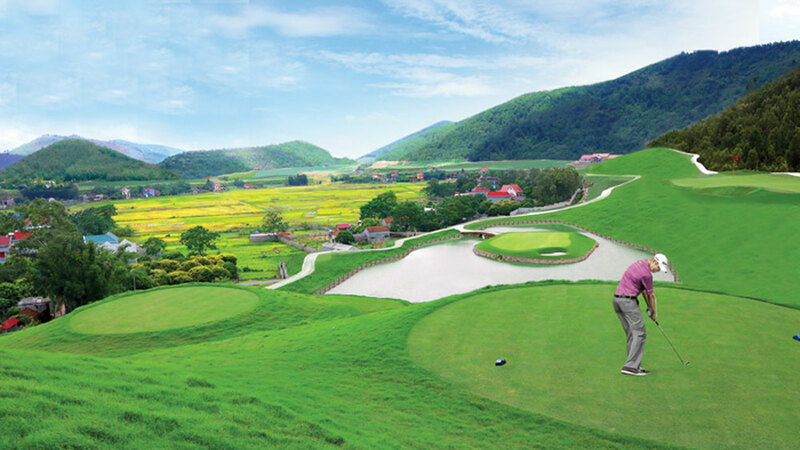 The golf course is one of the highlights in the cultural and tourism picture of Yen Dung district. Yen Dung district holds excellent cultural features and is home to over 270 relic sites, 70 of which were recognized as provincial relics, four as national relics and two were classified as special national relic sites (Kem pagoda in Nham Son commune and Vinh Nghiem pagoda in Tri Yen commune). The collection of more than 3,000 woodblocks was recognized as the World Documentary Heritage under the Memory of the World Programme. Meanwhile, Vinh Nghiem pagoda festival gained the title of national intangible cultural heritage. Right in Vinh Nghiem pagoda, there is three cultural and historical heritage. Other renowned pagodas in Yen Dung district include Lao pagoda and Tien La pagoda in Duc Giang commune. Particularly, Kem pagoda, built in 15th century at the foot of legendary Nham Bien mountain, was once an important military base of Hoang Hoa Tham’s insurgent army. In front of the pagoda was a system of popular communal houses and temples. Meanwhile, the Phuong Hoang Zen Monastery is located next to the pagoda. Yen Dung district is surrounded by three rivers, namely Cau, Thuong and Luc Nam. 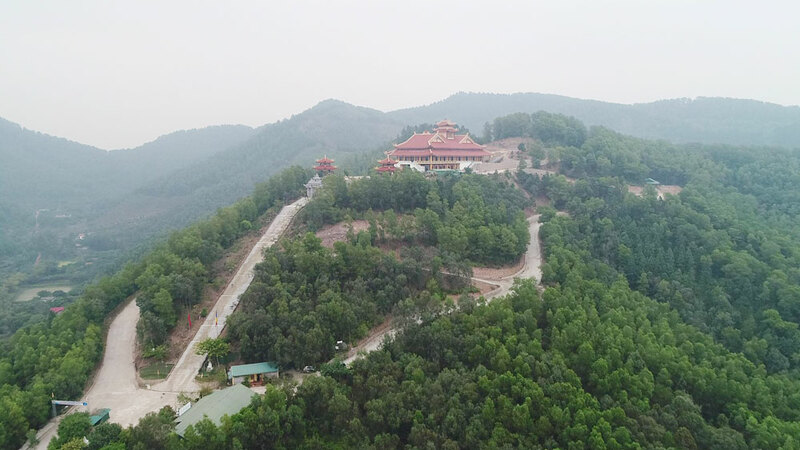 The Vinh Nghiem pagoda and Memorial Site of Uncle Ho are in the northeastern of the district while the Kem pagoda and Phuong Hoang Zen Monastery is in Ba Tong region. The Phuong Hoang Zen Monastery is situated on Nham Bien Mountain. Although the area of Yen Dung district is not large, the locality boasts a lot of cultural values and revolutionary historical relic sites. Therefore, it is necessary to have a flexible approach and viewpoint, ensuring the preservation of cultural and historical values while exploiting the tourism potential to promote economic development by fully tapping advantages of the locality and each relic site. To do this, the district’s authorities have coordinated with sectors and enterprises at all levels to promote its strengths and tourism products and cultural values in international markets. Attention has also been paid to embellishing and upholding unique cultural identities of Yen Dung. To combine conservation, exploitation and promotion of cultural values of spiritual and ecological tourism in Yen Dung, a series of works were built, focusing on studying historical materials, the demand of spiritual tourism and relaxation of tourists and local people. Outstanding works include a house for displaying woodblocks in Vinh Nghiem pagoda; Phuong Hoang Zen Monastery, Yen Dung golf course, Lac Phu and GWIN urban areas. These ensure the ability to link heritages with economic development and cultural tourism. Efforts have been made to promote and uphold traditional music genres such Cheo singing (Hat cheo) and folk tales. At the same time, the district has also focused on restoring and expanding traditional craft villages, such as Tri Yen soybean jam village, Canh Thuy rice pancake village, Tu Mai popcorn village, Lang Son carpentry village, Tien Dung bamboo and rattan craft village, and Ngoi ceramic village. It is estimated that nearly 200,000 tourists, including more than 4,000 foreigners, visited Yen Dung district in 2017. In the first months of 2018, the number of holidaymakers visiting Yen Dung was equivalent to that of the last year. Natural resources, culture, tourism, infrastructure, natural and social environment in the district are components that make up the synchronized appearance of sustainable cultural and historical values in the locality. With these strengths, in the near future, Yen Dung will be an important area for economic, tourism and service development in connection to cultural development in Bac Giang province.